Christmas can be a wonderful time of year. Exciting for the kids; Happy for families gathering together; And for Christians, very uplifting as we focus on this special time of year, as we celebrate the Saviour’s Birth and share the good news with so many who need to hear it. 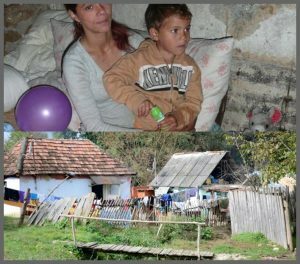 In Romania, not all the kids are excited, not all the families are happy and most certainly not everyone is focused on the real meaning of the season – Immanuel ‘God with Us’. 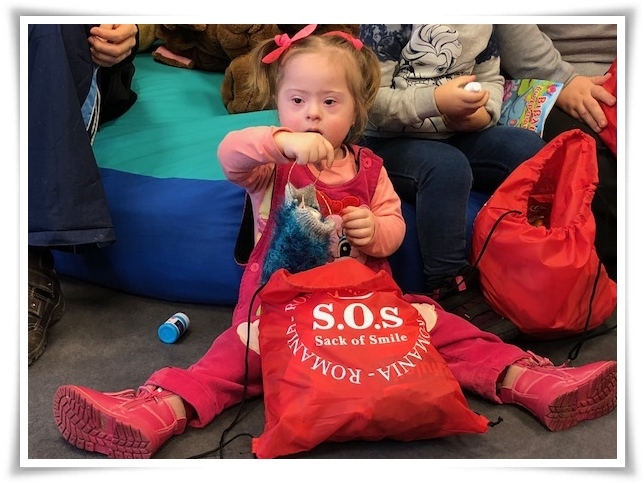 For the Smiles Foundation, Christmas is a very special time of year. It is a wonderful opportunity to share the message of hope Christ brings. People in hopeless situations need to be reminded of the Hope we have in Christ. We endeavour to demonstrate this in a practical way, through giving gifts to families, children, the elderly and homeless, to show that Christmas is all about recognising the greatest gift ever given – God’s Son, Jesus Christ. But as with all gifts, they must be acknowledged, received and appreciated before the true purpose behind the gift can be understood and accepted. 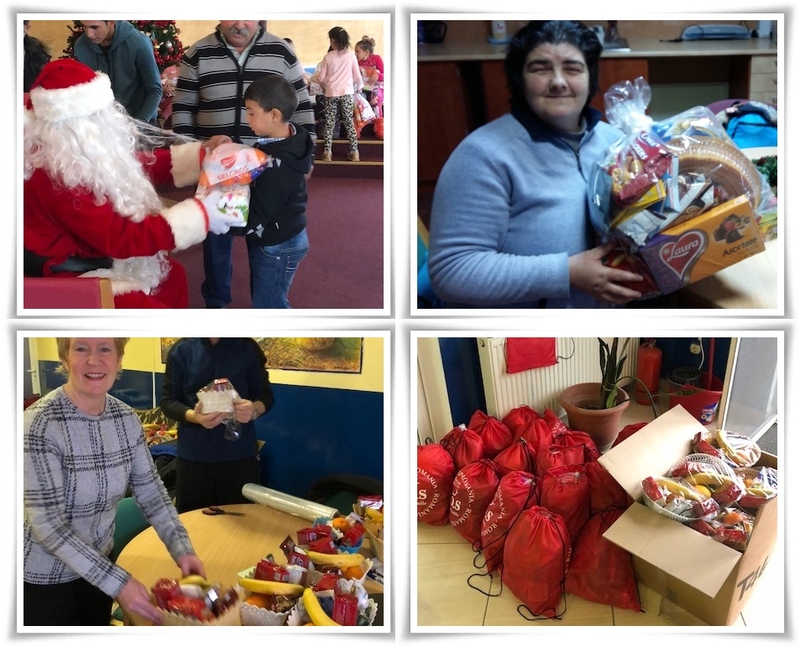 This month, we have had hundreds, if not thousands of such opportunities to share the Love, Joy and Hope of Christmas with the people of Bihor County in NW Romania. 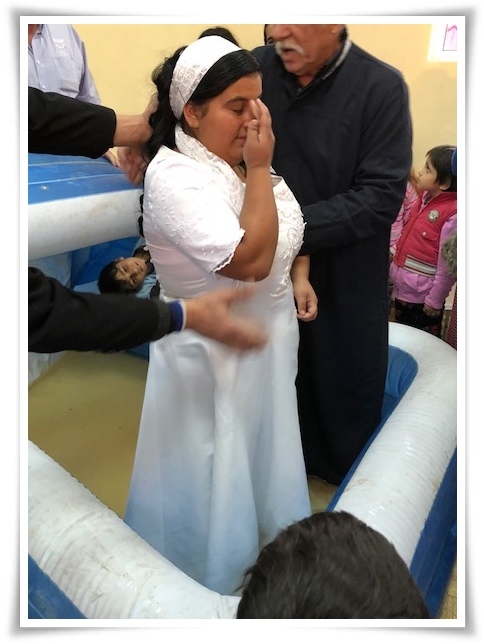 It was thrilling to celebrate another two baptisms in Rapa on Sunday December 10th. The Rapa community has so many challenges to overcome, but if they can approach those challenges with their trust in God, results will be significantly better. Praise God for two more decisions. Thank you for helping us to share that message. Our beneficiaries are also very thankful. Many received food that will ensure they eat this Christmas. Elderly received Gift Baskets to ensure they are not forgotten. The Homeless received Food and Blankets to help cope with the extreme Romanian winter. 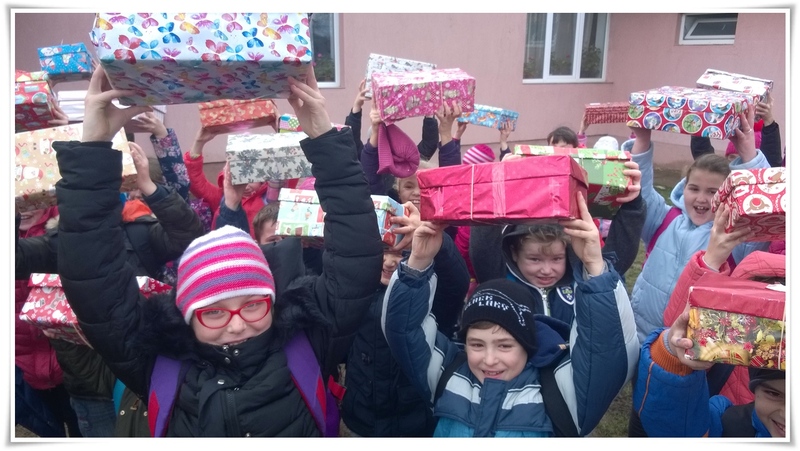 Children received presents in a Sack or Shoebox to ensure we could share the message of God’s Gift to all. We had Mission Trip guests helping us for 2 weeks to get all the distribution complete and I’m thrilled to report that today, the team are out finishing the final deliveries. Tomorrow, we can all take a little well earned rest! Although a few of us will be travelling all day tomorrow to hopefully be home with family for Christmas. Please pray for flight, rail and road travel. We have snow here in Romania but hopefully the weather will be easier at our destinations. In addition to all the Christmas focus within our projects we have also been busy with other plans for the coming year. We have started aspects of our Restructure Review for field projects which will include Family Care, Homeless, Emergency Housing and Community Work in Rapa, Salard and Cuiesd. This will be a three month review that we pray will result in a refreshed and improved project that can serve the people of our area even better for the future. I have taken the opportunity to discuss with several mission trip guests the operational aspects of the projects, some of whom have been supporting Smiles for many years and know as much about our projects as we do. It has been very helpful for me to hear their views and suggestions for improving what we do. I had realised for a while the danger of long functioning projects, is that they can lose the cutting edge and the objectives become a little blurred as time passes. We will now totally refresh these issues and I ask you to continue to pray with us, for guidance and insight as to how God would lead us to operate better and more effectively in the future. I will keep you informed as the restructuring process progresses and we plan to launch the new Field Projects by April 2018. So watch this space! We also had our friends Mike and Edith Townsend over for a few days in December. 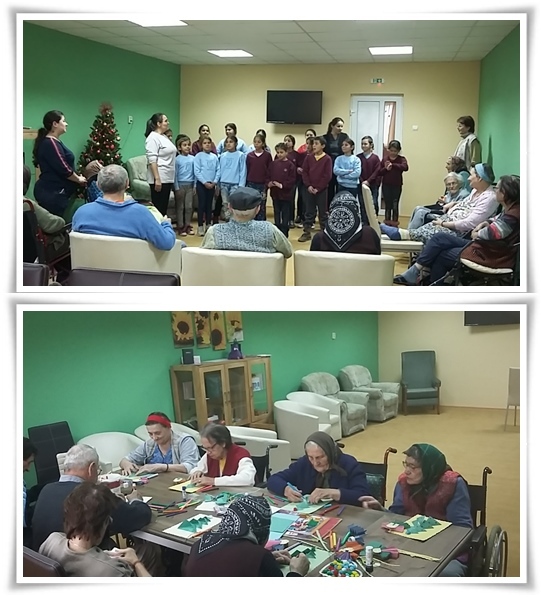 Although they shared some time with visiting our projects, their primary purpose for being here was as trustees of Torch Trust UK and Dezna Torch RO. After discussion and meetings for many hours over several days with various representatives of their local charity, it was agreed to form a partnership with the Smiles Foundation to continue and develop their work, which has been operating for 20 years in Romania. 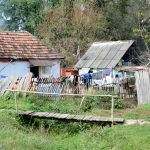 So, once legal paperwork is complete which is being worked on now, hopefully in January I will start in earnest planning our work in Dezna – a beautiful region about 45 minutes south of Salonta. (Home of JFL). 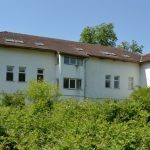 This will be a large project and one of the new Capital Projects for Smiles in 2018. 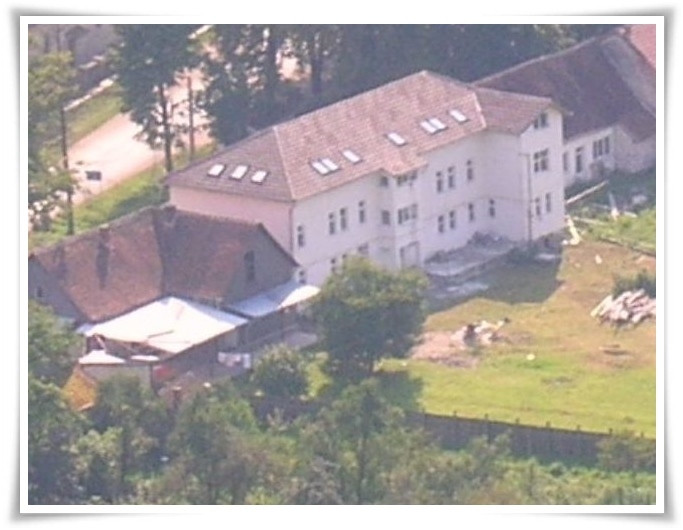 Our objective is to complete and operate a residential conference facility that will provide Life Skill training, Camps for youth, Conferences for Church groups and others and other opportunities to share the Gospel Message to an ever needy world. The Dezna facility will also have a special emphasis for the disabled, especially the blind and partially sighted, which is the focus of Torch Trust UK. I’ll share a lot more on this new project in the New Year, but meanwhile, start to pray with us for the project. 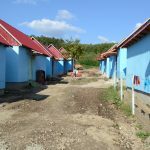 We will start fund-raising for the building needs in January and we’ll need teams to come out and help us with construction work and much more in Dezna. I am very excited to have another large project to launch and await with anticipation all that God has planned and will reveal to us as we move forward in faith, step by step. With all the exciting developments, I have come to expect some challenges to be in the mix! Sure enough, this month I was told of new laws in Romania, or at least a tightening of laws, on fire protection in public buildings. This is a result of a deadly fire in Bucharest a couple of years ago and now the law has been reviewed and new inspections are taking place. Anyone failing the inspection must complete the required work in a given period of time, or face fines or even being closed down. This has affected our facilities in JFL Phase 2 (Dementia Suite and Disability area) plus the Tileagd Complex, both the School and Assisted Living facility. I anticipate £10,000 ($13,000) will be needed to do the work and secure the authorisation documents. We have until March 31st 2018 to complete the work, so please pray with us for provision of the needed funds and that, until we finish the work, the authorities will not cause us to suspend our projects. This would be devastating for us and of course the many affected residents in JFL and TAL, plus our school in the new year. It is a lot of extra money, but I know Smiles supporters care about and understand such issues and want us to respect the law and not risk adverse implications for those we seek to help. Maybe our special Smiles Day on February 3rd 2018 will be able to cover the entire cost of this necessary upgrade of facilities. Maybe you would like to help now with a special gift towards the upgrades. 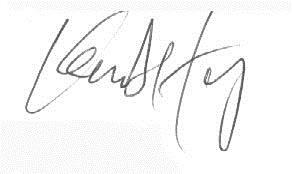 Indicate any gift accordingly, whether through PayPal or direct to the office. Just mention – Fire Upgrades – and your support will get to the right place. Thank you so much for caring. As usual, plenty is happening in Smiles and lots to think about for the year ahead. However, all that can pause for a few days over the coming week, as I pray sincerely for a truly blessed Christmas and New Year to all our supporters – trusting you will know the Peace of Christ, His Love and Hope for you, your family and loved ones. Thank you for being our partner in 2017. 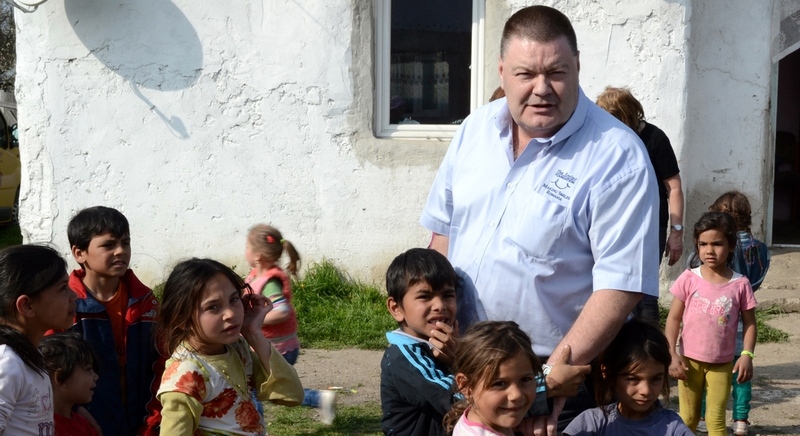 I look forward to working with you in partnership of the Lord’s Work in this part of His Kingdom of Romania. God Bless you all and we’ll be in touch in January. Happy Christmas and a Blessed New Year.